Nowadays, It’s not uncommon to see a 15 year old girl pose for a picture, by sticking out her breasts and buttocks on social media. It happens too many times. And frankly, I’m sick of it. I don’t know whether to blame society and hip hop music for objectifying women, the lack of a father figure in a young girl’s home, or low self-esteem for the way some young girls flaunt their bodies for attention. But something has to give. If she were my little sister, here’s what I’d tell her. Your body is beautiful just the way you are. You are not too skinny or too fat. 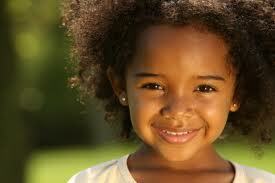 Your complexion is not too dark or too light. The most beautiful part about you is not what can be seen with the naked eye. The most beautiful part about you is the way you laugh at a funny joke. The most beautiful part about you is how compassionate you are towards the people around you. The most beautiful part about you is how determined you are meet your goals, no matter what stumbling block has been thrown about you. The most amazing thing about you is what’s inside. Men will come along and will appreciate your body. The right man – the keeper, the one who will eventually ask for your hand in marriage – will not need to see a provocative picture of you before he makes efforts to get your attention. Don’t get me wrong, your pretty smile and overall attractiveness will captivate his attention, but the way you laugh at his jokes, your loving nature, your determination, your overall awesomeness will keep him near. Have you ever seen a Lamborghini posted on a billboard, showing off its assets? Nope. 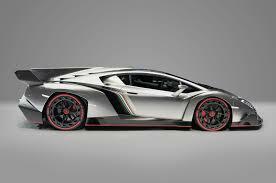 The starting price for a Lamborghini Veneno Roadstar is $4.5 million. It goes from 0 to 62 miles per hour in a mere 2.9 seconds and its maximum speed is 221 mph. The Italians understand how valuable this car is and plan to make only 9 copies of its kind in 2014. And I can promise, none of those 9 copies made will be featured on anybody’s billboard. The manufacturers understand how valuable the car is so there is no need to advertise it like other cars. The Lamborghini buyer knows the value of the car and will bypass the Toyotas, Fords, Mitsubishis, and Nissans to purchase a car of its caliber. The Lamborghini doesn’t have to worry about flaunting herself to get noticed. In the same manner, you don’t have strut your stuff for the right guy to notice you. In fact, by showing off your assets for everyone to see only cheapens your beauty. Do you really want that? Take care of your outward appearance, but understand that your gem, your value, your beauty comes from within. No one can take that away.